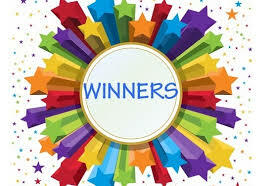 Amazing Threds Knit for Me Winners, Clearance, New stock and so much fun! It is like Christmas in the shop again. The UPS and FedEx guys keep loading up their dolly to drop off new and exciting merchandise. We have loaded the Clearance LOFT! 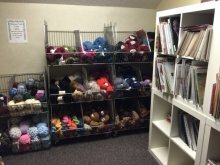 AND, yes there are sweater and blanket quantities in many of the yarns. Each day as we move and clean the shop we will be adding new product to CLEARANCE. 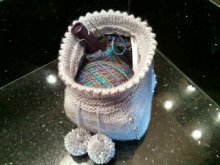 The LOFT also includes discontinued hand dyed yarns, bags and needle cases from Lantern Moon & dellaQ. 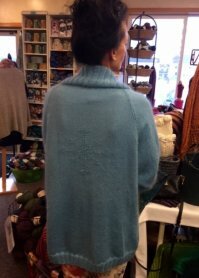 CONGRATULATIONS TO THE "KNIT FOR ME" winners which were selected by random drawing ~ Cris A. knit Snowflake Jacket in Mohair Haze & Swarovski Crystals from the Rowan Daytime Collection. Congratulations to Shelly M, too. 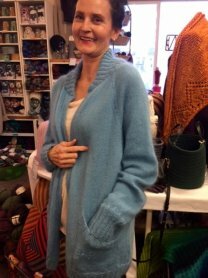 She knit a fabulous Cozy Cable Cowl from Purl Soho in Artist Chunky Hand Dyed Merino from Feza Yarns. 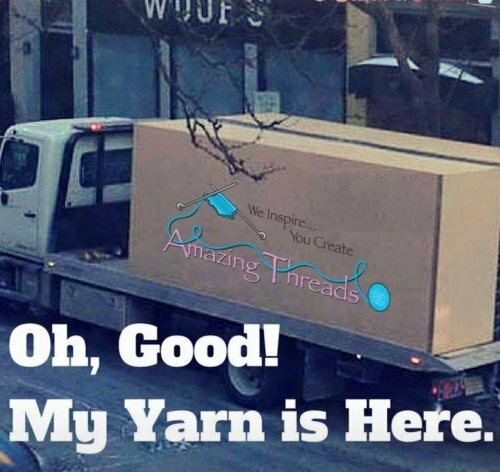 Watch for updates as we reset the floor with new and wonderful yarns! Plymouth Worsted & DK Merino Superwash has been restocked! 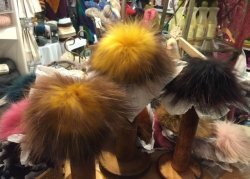 We received a shipment of the Fell Racoon Pom Pons! Some are discontinued so grab yours quickly. We still have a few on order! 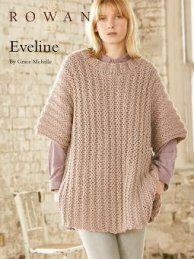 I made a number of these cowls and they are VERY warm AND are scrumptious and not itchy! 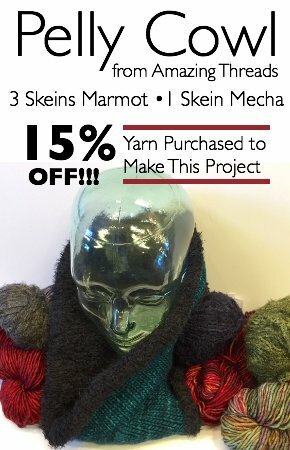 2-3 skeins of Berroco Marmot & 1 skein of Malabrigo Mecha - Knit in the round on size 8 & 10 needles - The pattern is FREE and the cowl is perfect for those who cannot wear wool next to their skin! Purchase the yarn to make the cowl @ 15% OFF Wednesday - Saturday this WEEK ONLY! 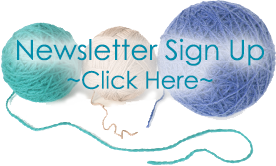 Join Mary Jane and knit Elizabeth Zimmerman's Baby Surprise starting February 11. This fun sweater is all knits and minimal finishing. 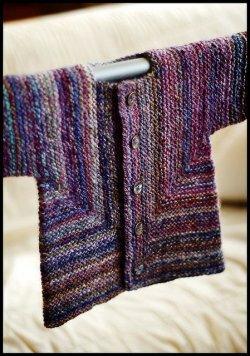 Anyone who knits this classic baby sweater knits MANY more! REGISTER HERE! 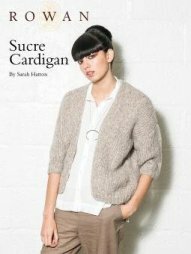 KAL participants get 20% off their Pure Wool Worsted for knitting their blanket! 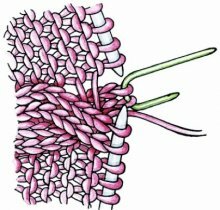 Shawl Inspiration with Cori, March 13, 12-3 pm $10 holds your spot and can be applied to a shawl purchase that day! 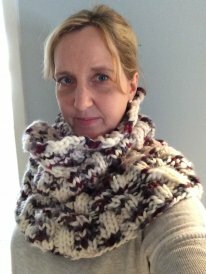 Double Layered Braided Cowl - crochet with worsted weight yarn. 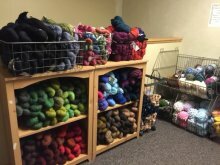 Big Wool Silk Purchase 8 or more skeins @ 20% OFF this week! 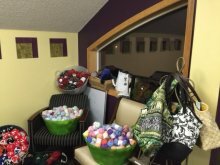 I am sharing a link that makes me smile! My Little MM dancing with her cousin. I get to spend a day a week with this angel! She is the little bit!